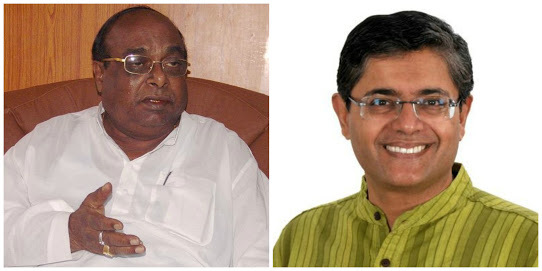 Bhubaneswar: Minister and vice-president of BJD, Damodar Rout slammed Puri MP Pinaki Mishra for his comment about MP Panda in an interview to a national magazine.The senior leader said Pinaki who had quit Congress and joined BJD,should introspect whether it is right to give statements on intra-party issues in a magazine. In an interview to Bharka Dutt, Pinaki had blamed Panda for talking about party rift, and dared Panda to resign from the party, if he had courage. He further said that Panda remarks have no takers in the party.Panda retaliated in a tweet message that who is lonely can be judged by the numbers of people one has in the social media sites. Rout also criticised another party MP Bhartruhari for his column in a daily questioning BJD’s support of NDA candidate Ram Nath Kovind for the President.Rout said its unfortunate that Bhartruhari likes visiting Delhi but can’t visit Naveen Nivas. Rout said he could very well call upon the Chief Minister to discuss the issue and not speak against the party.